Specialization: The Future of Translation? The Mexican Translators Association (OMT) will hold its annual conference as part of the International Book Fair of Guadalajara (FIL) on November 24 and 25, 2018. It will be addressed to the members of the OMT and the community of translators and interpreters in general. The main theme of this year, "Specialization: The Future of Translation? ", will allow speakers to provide reflections--based on their solid career--about the specialization of our work, in order to analyze if this is a way in which a professional can deal with the current technological competence, as well as corroborating which areas of translation and interpretation require specialization. Moreover, important topics will be presented such as the use of technology at the service of translators and interpreters, the realm of work, multimedia translation, specialized translation and interpretation, literary translation, and others. Writer, translator, interpreter and language facilitator. Owner of Gómez Porchini, Treviño & Langley, located in Matamoros, Tamaulipas, Mexico. Speaker in the San Jeronimo Translation Conferences and in the FIT World Congress in Berlin and Australia. Writer, translator, interpreter and language facilitator. 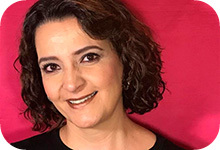 Owner of Gómez Porchini, Treviño & Langley, located in Matamoros Tamaulipas, providing language services to northern Tamaulipas and the Rio Grande Valley in Texas. Ms Gómez is founding member of AMEXME-Capitulo Matamoros. Author of Dictionary of Mexican Legal terminology (Spanish-English) (first edition 1999; second edition 2011); Dictionary of United states Legal Terminology (English-Spanish) (first edition 2008, second edition on line: https://diccionariojfbecerra.com. He translate legal and official documentation consisting of contracts, incorporation agreements, powers of attorney, records, and certificates of the civil registry, and notarial deeds among others. His work focuses on the linguistic variants of North-America. He works at the Universidad Autónoma de Guadalajara, where his professional activities focus on the Master’s Program in Translation and Interpretación in English and Spanish, a graduate program he directs and in which he teaches courses in translation, lexicology, contrastive linguistics, and world culture, etc. Lawyer and student of Literature and Spanish Language at UNAM. She also got a Diploma in Translation of Specialized Texts (Social Science) from ENALLT. She is a translator of legal and financial texts for several national and international translation agencies. American translator based in Chile. While studying English Literature she had contact with Latin American literature in translation. After a working in a publishing house, she decided to learn Spanish in Chile. She then studied a Master's Degree in Translation at the University of Texas, but returned to Chile. She has translated Chilean authors such as Alejandro Zambra, Lina Meruane. In 2017 she was one of the finalist for the Man Booker Prize. Translator of the works of Ernesto Cardenal (poetry), Sergio Ramírez (novel), Eduardo Galeano (political prose), Fernando del Paso (News from the Empire), Gioconda Belli (novel and poetry) and other Latin American authors into German. Literary Scout for different German publishers. Expert translator and interpreter of Spanish, French and English, authorized by the Federal Judicature Council, the Superior Court of Justice of the Federal District and the Federal Administrative Justice Court. Partner of the firm Luer Traductores Asociados, S.C., who specializes in legal and technical translations. She has a training in literary translation, with particular interest in children's literature and graphic narrative, from italian and english to spanish. She collaborated in the translation of works by Pino Cacucci, Rosa Matteucci and Dacia Maraini; she participated in the translation of the poetic anthology Sicilia, la tierra del titiritero. Subtitling educational, corporate, advertising and entertainment videos from English and French into Spanish. Translation of academic articles, popular science books, and humanities texts. Subtitling workshops for students and professional translators. 20 years of experience in simultaneous interpreting in all kinds of events. Medical conventions, celebrity conferences, political events, working with the Organization of American States, the World Health Organization and the United Nations in Mexico. A Master of Arts in Translation Studies graduate from the University of Portsmouth, Ana Gabriela Gonzalez Meade is an audiovisual translation and QC specialist with 20 years of experience entrusted with high-profile subtitle and dubbing projects for the biggest names in the Hollywood content industry. She is a lecturer at the Department of Language of the University of Guanajuato where she teaches linguistics and translation. She has a keen interest in the conceptualization of translation, especially, intersemiotic translation, voluntary translation, translator training and translation ethics. She runs a co-working space as a launching platform for language and IT services to the world, where a dynamic team serves language needs for global clients combining both language and technology synergies. She has a Master Degree on Biomedical Translation, translation and interpreting degrees, and has obtained the ATA certification. ATA-certified en → es translator with over 20 years’ experience translating technical and general material. Especialities include chemistry, mechanics, industrial safety, electronics, healthcare, and foods & beverages. Capable of understand and deliver complex, specialized information. Lifelong learner with multiple interests. A translator and interpreter from Monterrey, Mexico. He has been a professor at a couple of universities and has given lectures on Literature and Linguistics at several conferences, both national and international. His expertise has given him the opportunity of collaborating with different companies around the world. She is a well regarded attorney in Banking and Finance topics, such as complex cross-border transactions; as a professional translator with extensive experience in translations for the mexican financial system, her works involves providing legal advice and handling the translations in a short period of time. English-Spanish translation, localization, proofreading and post-editing services specialized in the legal, financial, technology and scientific communication fields for institutional and corporate clients, agencies and private clients. Court-certified translator and interpreter. Who Must Be in Charge of Specialized Translations: a Professional Translator or a Translator Professional? Expert translator and interpreter of Spanish, German, French and English, authorized by the Federal Judicature Council, the Federal Administrative Justice Court and the Superior Court of Justice of the State of Querétaro. Partner of the firm Luer Traductores Asociados, S.C., who specializes in legal and technical translations. Eva Cruz Yáñez fue profesora de Literatura Inglesa y de traducción en la FFyL de la UNAM, con grado de maestría en Letras Hispánicas por la misma universidad. Ha traducido cuento, ensayo y poesía para las diversas antologías del Seminario publicadas por la UNAM, el FCE y El Tucán de Virginia. Actualmente es traductora independiente de textos literarios. He is a translator with more than 47 years’ experience in the fields of literature and the humanities, social sciences, culture and international affairs, among others. He is an interpreter as well. 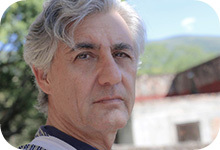 After some years as an academic, He currently works for some of the most prestigious translation agencies and editorial houses in Mexico and abroad. She is a translator and poet with a degree in Modern English Language and Literature. She translates for Teatro Línea de Sombra, Trilce Publishing House, and English Happens agency; she subtitles for InSynch Translations. Published poet in Sikore and Letras Líquidas publishing houses. Panel: Do We Agree in Specialization? Yes or No and Why? She is an English and Spanish to French translator based in Mexico and she mainly works in the following fields: international development, environmental and gender issues, political science. She majored in languages applied to international negotiation and she has a degree in journalism and translation.